My name is Tanya. 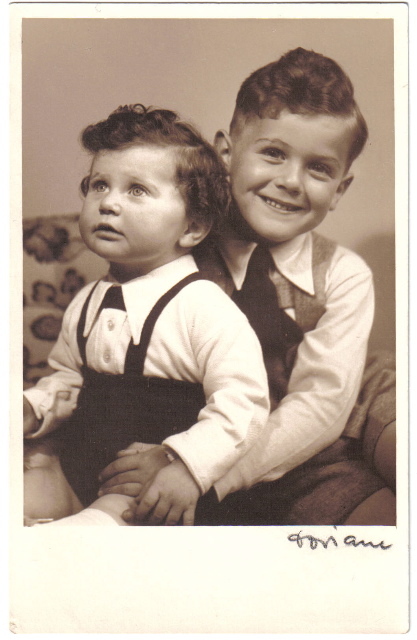 My mother, Nina, was born in Prague in 1938 and right after her first birthday Hitler's army marched into Prague. Her parents, both Jewish, had been busy preparing for this inevitability by arranging for exit visas and their new life in America but they were not prepared for the agony of leaving their parents, sisters and their sisters' families behind. My grandmother recorded our family's history on a cassette tape and my sister transcribed the story and then spent many more years researching the story and our complete family geneology. My sister included our family's photographs, documents and heart wrenching personal letters which were written during the war into what became a book with hundreds of pages, about our family. 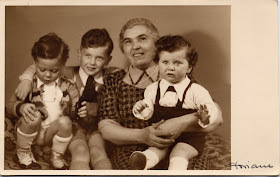 My grandmother documented her story for the benefit of her grandchildren and my sister greatly expanded upon the story for the benefit of my children and all children so that they never forget about Hansi, Otto, Peter, Karli, Bedrich, Franzie, Moritz, Marta and all of the others who were left behind and were killed in the camps. Fortunately for my mother, her brother, Paul and her parents, Nellie and Walter, they escaped on the Deutschland in May 1939 and arrived in NY where they built a beautiful life but always spoke about their lives in Prague and their families. 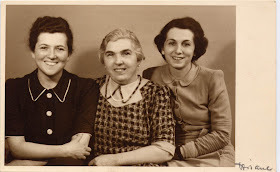 This is a photo of my grandmother, Nellie, with her mother and her sister, Karli. 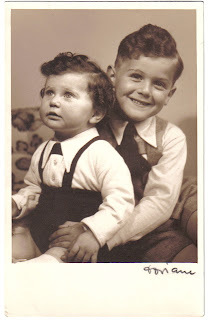 My mother had a brother, Paul who was a few years older than her. These photos were taken the day before they were able to escape Prague. 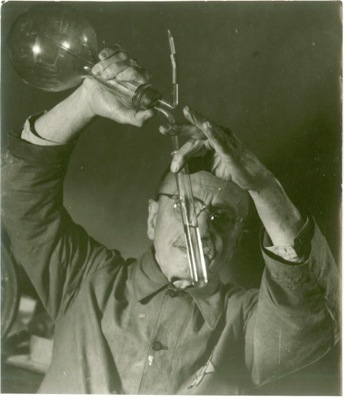 This is a photo of my Great Grandfather, Moritz, as a Prisoner of War in Terezin. The photo was taken by the Red Cross and found many years after the war. 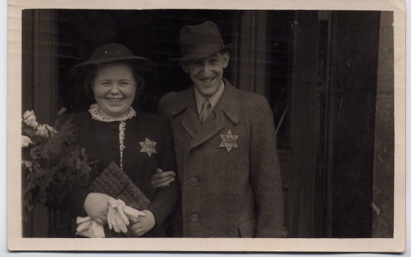 Below is a photo of my mother's Nanny on her wedding day- mandated to wear Stars of David. This is an ad from my Grandmother's families' business when they lived in Prague. This is a photo of my grandmother and my mother on the Deutschland. Below is a photo of my grandmother and my sisters and I- in their lives in America. This photo is my mother, her brother, my grandmother and my sisters on my Grandmother's 70th birthday.